Some of my friends have noticed me being critical of Alonso. So let me use this opportunity to explain why. I am not asking anyone to adapt my opinion of him. Im only going to give you my reasons and then you can judge for yourself. However, its not the first time this sort of thing has happened in Ferrari. It happened with Prost. And it happened with Schumacher and lastly with Kimi. As for Kimi, he is happy with how things turned out in the end, so I am not complaining, nor am I bitter. I may be oldfashioned but I cannot only support a driver because he is good. He has to be likeable and a nice guy. Thats why I love Kimi. Because what you see is what you get. No politics. No cat and mouse with the press to try and boost your image. Perhaps that is what you need to do today in the F1 world. But Kimi doesnt play that game and I like it. As for Alonso, I remember 2007. It wasnt that long ago actually. But lets turn back time shall we. Alonso had just joined McLaren. Mike Coughlan had gotten hold of several hundred pages of Ferrari data from Nigel Stepney of Ferrari. And Alonso and De La Rosa (McLaren test driver at that time) used that data freely. How do I know this? Because I followed the case extensively. I have read all the transcripts from the hearing. Every single page. And from that, I know what Alonso, De La Rosa, Hamilton, the engineers and so forth said. This includes all the emails and texts sent. So what follows is a summary of what really happened according to their own testimonies. As you know, during 2007 Alonso had his hands full with Hamilton and he didn’t think he got the treatment he deserved as a world champion. That is why he went up to Ron Dennis mid-season and demanded no 1 status or he would go to the FIA and tell them about the Ferrari IP they had in their possession. Which was later confirmed by Ron Dennis and Max Mosley. This is called blackmailing. Ron Dennis did the only thing he could do. He went to Mosley and the FIA and told them what had happened. The FIA then reacted swiftly and sent out an email to the drivers in McLaren – asking them to come clean with everything they knew and hand over every email and textmessage concerning this. If they did so, they would have immunity and not be disqualified. And so they did. Because they had no other choice. 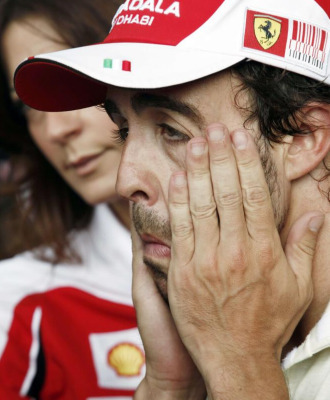 “The emails show unequivocally that both Mr Alonso and Mr de la Rosa received confidential Ferrari information via (Mike) Coughlan,” read the report. Now hold on a minute, Mr. Alonso. This statement of yours tells a lot. Because first of all, it’s a galling way of twisting the truth. Its not just being “in the wrong place at the wrong time” when you actively try all you can to benefit from Ferrari data that wrongfully were in their possession. Second, the “happy to help” bit implies that he was on the FIAs side the whole time, helping them uncover the entire seedy affair. Like some kind of hero. That is also a severe bending of the truth. The reason he was “happy to help” was because he was summoned by the FIA to explain himself in the hearings in the spy case. Because he himself was guilty. It’s nothing more than a clever way of lying. If you support him, thats great. He is an amazing driver and I wish I was able to just look at his driving abilities and appreciate those alone. But I’m not put together that way. I have to be able to admire his personality. And that I dont. But like I said. That’s me. Perhaps you will argue that I may be trying to change peoples minds by reading this. That is actually not my goal, believe it or not. I just want people to know what really went on and why I am critical of his behaviour. The above is documented information that can be dug up by anyone with the time and inclination to do so. I have my views on the Singapore crashgate affair in 2008 as well. For someone who prides himself and is known for being completely involved in the team, I find it more than peculiar that he supposedly knew nothing about the plans to crash Piquet in the Singapore GP in 08. I read recently that the key- and only evidence that was provided to the FIA kangaroo court to decide on Alonsos involvement was sourced by Flavio Briatore himself! Hardly an impartial witness, would you say? Everything points to Alonso knowing all about the planned crash in Singapore 08. Don’t be naive. 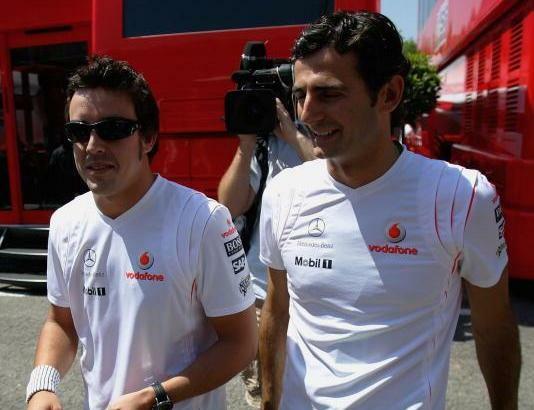 “Alonso was in the center of two of the biggest scandals in the history of F1. He received 2 (not one but two) get-out-of-jail-free cards from Max (Bernie) for his testimony in Spygate and Crashgate. He was the only person materially benefiting from both scandals without losing even a single point. How is that possible? 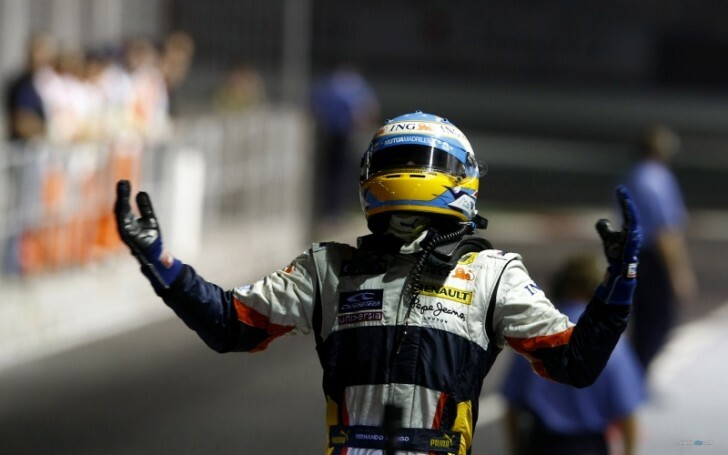 In fact, most people – looking at forum posts — even (still) think that Alonso was investigated but exonerated from any charges as it relates to Singapore crashgate even though there were reasonable and significant questions about his role. He was radioed in to stop early, under normal circumstances this would be a disadvantage to his position in the race but he did not even say a word. As an experienced 2xWDC who normally would scream bloody murder if a team makes that kind of mistake. This is a guy that didn’t even blink an eye when actively trying to blackmail his boss because he was not elevated to #1 status in the team. And here he wouldn’t even make a single statement when he was asked to make an unscheduled, early, and potentially disadvantaging pit stop in Singapore? Reality was that, any and all investigations about his involvement were blocked by FIA, in exchange for his testimony, IIRC… So, he was not even investigated whatsoever… Why? Where does this amazing power comes from? Lets just hope the days of questionable behaviour is behind him. One would also prefer for him to not comment on the spycase instead of trying to appear innocent. Because it tears up old wounds for a lot of people. But it can only go up from here. Perhaps in time I can enjoy his driving skills alone. I hope so. But so far – no. This entry was posted in Formula 1 and tagged 2012, Alonso, Alonso liar, cars, Crashgate, F1, F1 2007, Fernando Alonso, Ferrari, FIA, Formula 1, Hamilton, McLaren, Santander, Spygate. Bookmark the permalink. Completely agree. Couldn’t have put my thoughts into words this well. Nonsense. Fernando didn’t do anything that not totally common in F1- other then maybe he is a competitive animal and to help his team and make the car faster, he got more involved than he usually would. I’m sure he learned from that mistake. And of course he must have been ‘happy to help FIA’ in the end- first, his superlicense was at stake, and second, he had no obligations to a team that betrayed him, mobbed him and eventually wanted to get rid of him anyway. Fernando is a special character and maybe you will find it hard to like him, but he can’t be anybodys darling. Just like Kimi can’t. He needs emotion, he needs action, he needs a team that gives him the feeling of being ‘at home’ and a fair chance compared to his teammate. McLaren failed totally in those important points. Like i said i’m sure Alonso learned from former mistakes. He fits to Ferrari, and they fit to him. Nonsense. Even if it was common, it doesnt justify this. 2 wrongs doesnt make a right. Like my mom used to say – if everyone jumped off a bridge, would you do it too? Furthermore I dont believe this behaviour is common at all. When the rest of the McLaren crew that wasnt involved were shown the intel, they backed away and didnt want to know about it or have anything to do with it. This is how good people normally react when faced with such a choice. His quote in the interview gives no clue that he has learned anything. Other than dont get caught. And yea – who wouldnt be “happy to help” if their license is at stake and they risk disqualification. Lol. He kinda had to do it. Alonso left McLaren on his own accord. He didnt want to be in the team anymore. There was a contract in place but he chose to break it. Betrayed and mobbed him is also nonsense. They gave him a winning car. They treated him equally. But that may have been the problem. He wasnt used to that. He got beaten by Trulli in Renault and some strings were pulled by Briatore and Renault replaced Trulli. And ever since he had the no 1 status. Bear in mind – I am not a Hamilton fan. And I am certainly not a McLaren fan. But credit must be given where credit is due. Funny How Hamilton left Mclaren recently as well ? Dont you think? I don’t think you can really compare the McLaren team to how it was 6 years ago regarding Hamiltons exit. It had a car well capable of winning the championship. If Alonso had swallowed his pride, he would probably have been 3 time champion in 2008. That being said, I agree that there is a problem with McLaren. And not just this year. I don’t know how big the problem is, but there is a problem. Hamilton is far from the only key character that has left the team in recent years. Yup totally agree. IMO, Alonso has too much history of unethical behavior, and just like you it is something that I cannot accept and because of that I can’t support him. Remember China 06 when he accused Renault of not wanting him to win the championship??? That was really rich, talk abt childish behavior. Not only did they help him win 2 world championships, but they also took him back after his fallout with McLaren. I also think that there’s no way that he didn’t know abt Crashgate. Pitting that early while starting from a bad grid position, and at a street circuit where it’s really hard to overtake no less. No driver would ever agree to such a strategy without knowing that there’s something else planned. There’s no doubt that he has matured since his renault (first stint) & mclaren days, but his comments in the interview abt spy-gate certainly proved that he’s still has some more maturing to do. In conclusion, IMO, Alonso needs to know that you can be a good guy and still win. Just look at guys like Kimi & Vettel. Right. I forgot about China 2006. Not something one should hear from someone in his position. My personal opinion is of course that he knew of crashgate. There is no doubt in my mind about it. I guess that proves he had learnt something from 2007. Avoid getting caught. But as I wrote earlier, there is no hard proof of this. Only common sense and the knowledge of how extremely close Alonso always worked with Symonds and Briatore. Epic! & the one from Jorgensen is just as cool!